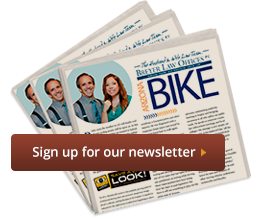 Has Your Child Suffered an Injury in a Phoenix Bicycle Accident? We know that the number of children injured every year riding bicycles is growing, especially those in which a motor vehicle hits a bicycle. Child accident victims of careless driving could be entitled to damages for their injuries. Breyer Law Offices, P.C. has Phoenix injury lawyers who specialize in personal injury claims, and we can help. Because the injuries your child sustained may be substantial, your child and your family could lose the quality of life you have previously enjoyed. If your child experienced an injury in a bicycle accident, you may be able to recover damages for expenses such as doctors, skilled caregivers, hospitals and other expenses related to his or her accident. He or she may also be entitled to compensation for any disability, disfigurement or pain he or she continues to suffer. If you or your child has been in a collision, let the Phoenix child injury lawyers at Breyer Law Offices, P.C. help you and your family recover what you deserve. We will answer all your questions and discuss your options with you so that you can make the best decision possible to protect yourself and your family. Call the Husband and Wife Law Team at (602) 267-1280 today for a free consultation to discuss your case. Phoenix Child Bicycle Accident Lawyer Disclaimer: The legal information presented at this site should not be construed to be formal legal advice, nor the formation of a lawyer or attorney client relationship. Any results set forth herein are based upon the facts of that particular case and do not represent a promise or guarantee. Please contact a lawyer for a consultation on your particular legal matter. This web site is not intended to solicit clients for matters outside of the state of Arizona.